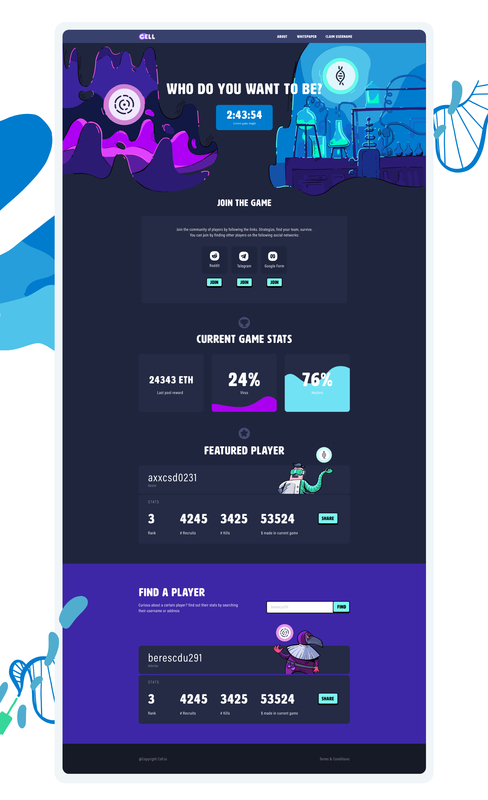 I was commissioned to design the brand, UI and illustrate the SpreadCell.io blockchain game website. 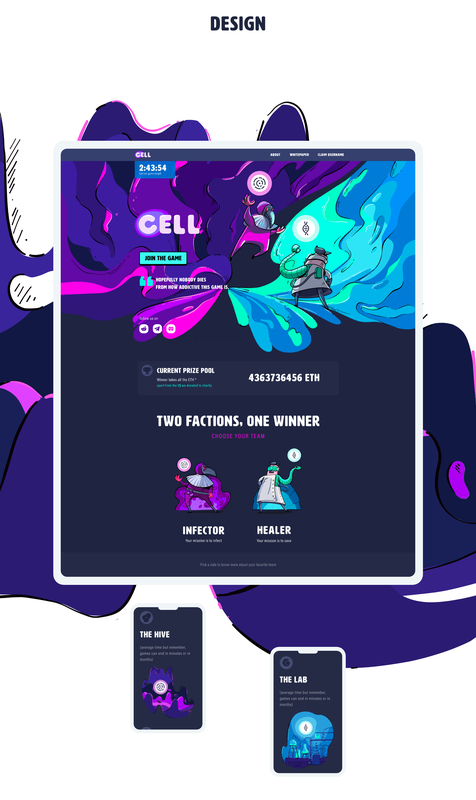 It was a really cool challenge because aside from the usual design elements I had to imagine characters traits and attributes, their universes and powers. 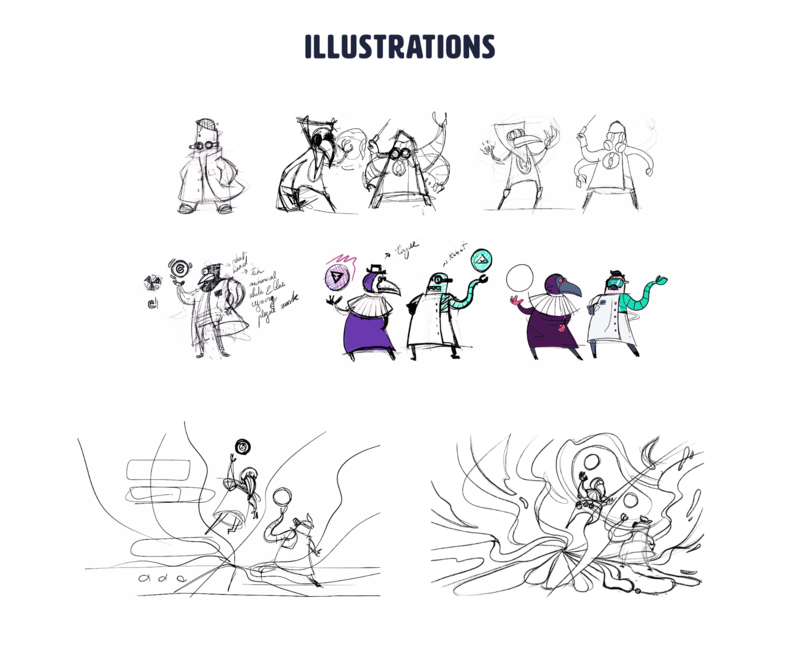 The goal was to blend all these into a coherent visual language throughout the site, and communicate the mechanics as best as possible. 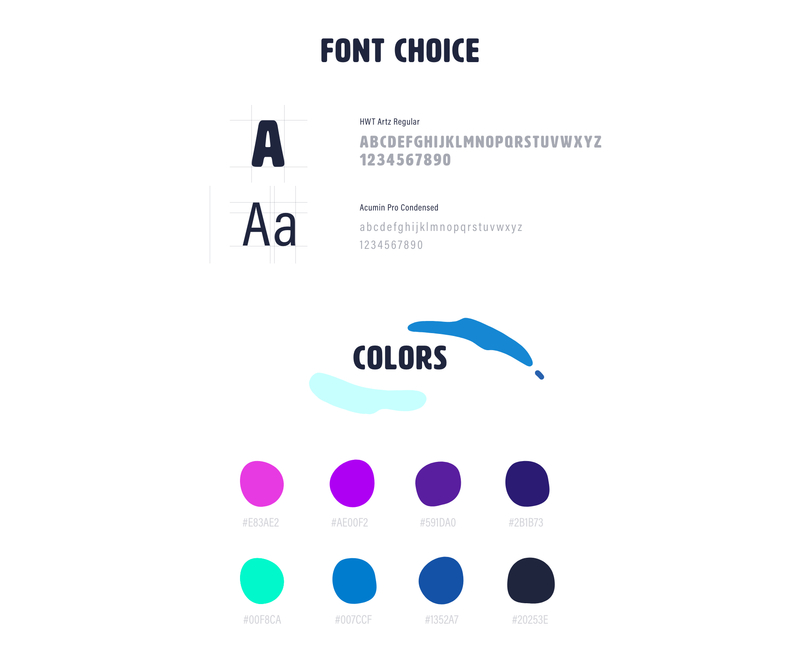 We went for a strong font and colors, trying to emphasize the power clash. The two sides have distinct, but coordinated color schemes. All other neutral elements have a mix of both color schemes. All the illustrations have been drawn in Procreate and finished in Adobe Draw on the iPad. After that everything was exported in Adobe Xd. 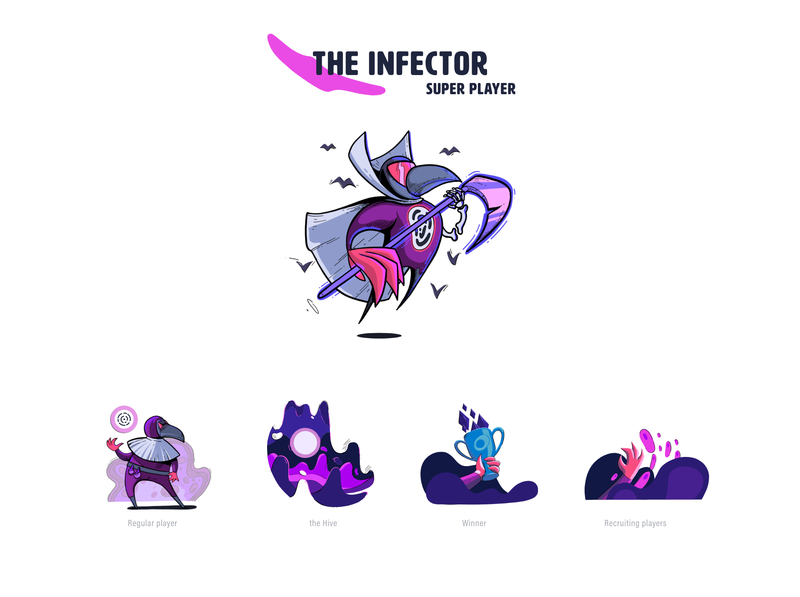 Both teams have specific recognisable elements, which mirror the game mechanics in terms of spreading and winning the game. 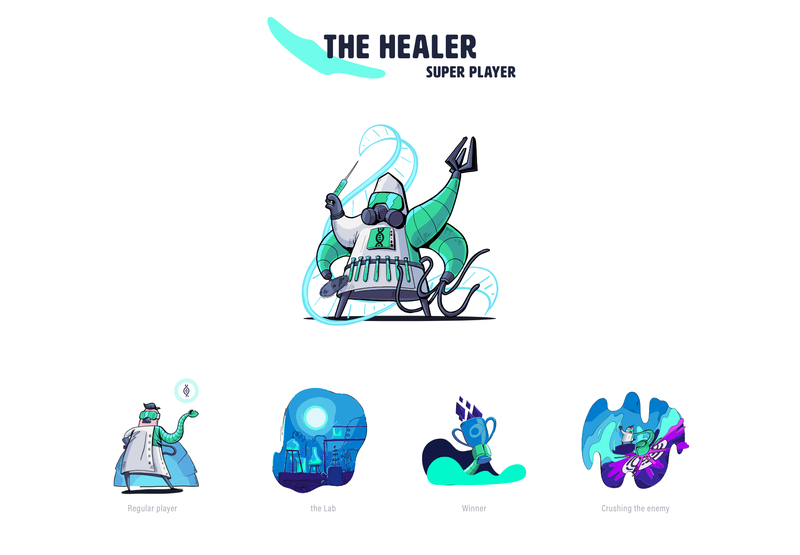 The Healers use genetics and science. 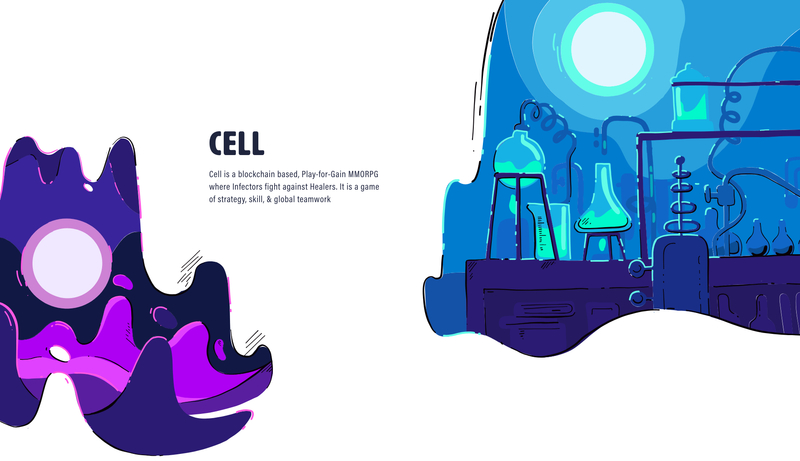 The Infectors use a cell division approach, and everything is more organic, both in mechanics and illustration.